Woody's is pleased to announce our newest addition to our Menagerie, our magnificent large cat display. We would like to have the opportunity to promote our Magnificent Ligers and educate the public about this magnificent animal . 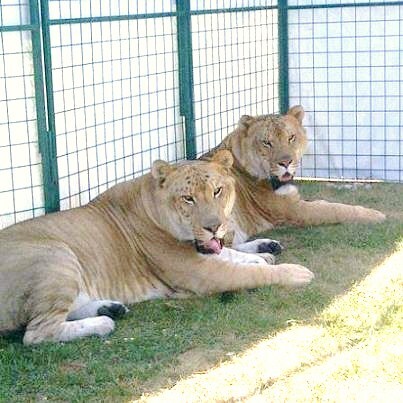 Ligers are a hybrid cross between a male lion and female tiger. Ligers can weigh over 1000 pounds and stand over 52 inches tall. In addition we sometimes will display our gorgeous adult male Lion. To be able to experience the opportunity to view these wonderful creatures up close is a chance of a lifetime. This is the only traveling liger exhibit in the United States. Copyright 2010 WOODY'S MENAGERIE. All rights reserved.